Condolence: Dear Beverly,Tom and Family: I was honored and proud to have known and care for your mom. She was kind , funny and a beautiful soul. May you find peace in this time of sorrow knowing she was loved by all who were fortunate to have known her. As a young nurse back in 1972 when I started to work under your mother's supervision. Bobbie quickly became the role model I needed. She was tough, kind, loving, no nonsense person. I learned so much about maternity care from her. She educated many young doctors as well. I will never forget her, and I am truly sorry for your loss. Condolence: I am so sorry to hear of Bobbie’s passing. I remember her from my days as a young house officer. She was classy, brilliant, tough on the outside, but with a heart of gold. She was one of the best. My sincere condolences. Condolence: Let me begin by saying how sad I was to learn of your mom‘s passing. Your mother meant so much to me . She gave me my first nursing job on South 2 in 1986 . 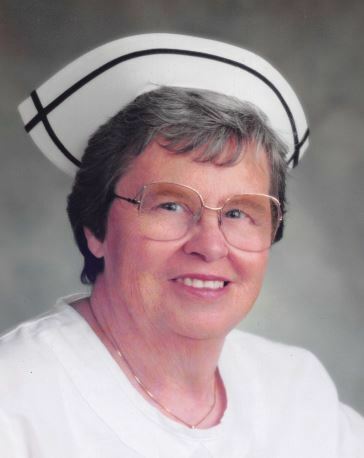 She was such a wonderful nurse and mentor to me. She exemplified what’s a Nurse should be . I wanted to work nights . She asked if I would stay for least a year on nights as nights was hard to keep staff ....I stayed for 10 years. Or coming in the delivery room with a mop! She was there ..we all knew she had our back. Condolence: Bobbi and I go back many years. She was such fun to be with...working at Memorial. So sorry to hear of your mom's passing. She was very good to Theresa and I when we were Jr. volunteers at Memorial. I remember her fondly.